Akai are launching a new iPad keyboard dock, although this one cant be used for typing emails and surfing the web, instead it is designed to create music, the Akai SynthStation49. 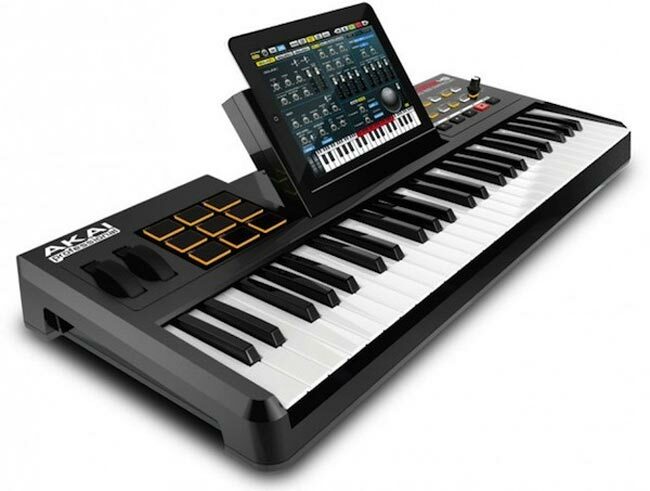 The Akai SynthStation49 iPad Dock has a full sized keyboard, comes with nine MPC-style pads, dedicated pitch and mode wheels as wells as transport controls. There are no details as yet on when the Akai SynthStation49 iPad Dock or how much it will cost as it is still waiting for certification from Apple, as soon as we get some more information we will let you guys know.